On 15-17 March, seven Irmak students made the trip to Koç Schools for the Annual Koç JMUN Conference: Emir Alexander Atabek, Melis İrem Aybar, Lila Naz Erdoğmuş, Naz İşleyen, Yağmur Aksel, Kerem Bayındır and Buse Özkan. On Monday, March 04th, 7th grade students participated in the "Quiz Show" which was prepared by the English Department. The 7C class (Emre Şensoy, Sibel Yağmur Gressel and Mehmet Ali Varlıoğlu) won the competition by giving the right answers to the questions prepared in 9 different categories. On Tuesday, February 26th, 8th grade students participated in the "Quiz Show" which was prepared by the English Department. The 8C class (Kerem Bayındır, Maya Gedik ve Beliz Basut) won the competition by giving the right answers to the questions prepared in 9 different categories. 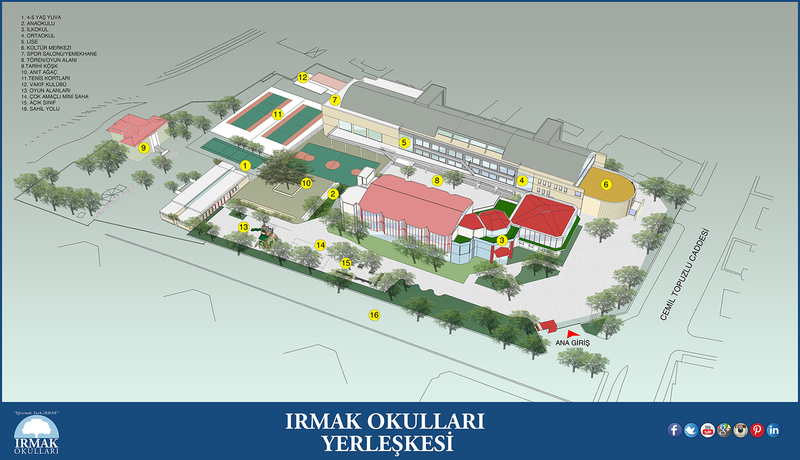 On 01-02 March 2019, Irmak students Emir Alaxander Atabek, Melis Irem Aybar, Lila Naz Erdoğmuş, Naz Işleyen, Yağmur Aksel, Demir Deniz, Duru Koyuncu, Selah Wolf, Utku Kerem Umut, Ceylin Ece Yilmaz and Kerem Bayindir made the trip to Enka Schools for Enka Junior Forum. On Wednesday, February 27th, 6th grade students participated in the "Quiz Show" which was prepared by the English Department. The 6B class (Yağmur Aksel, Onur Özkaya and Alp Değirmenci) won the competition by giving the right answers to the questions prepared in 9 different categories. On Thursday , January 10th, sixth grade and fifth grade students participated in our school's mathematics contest. During the competition, each student tried his/her best to tackle very challenging numbers and letters. On Wednesday, December 19th, sixth grade students participated in our school?s annual Spelling Bee contest. During the competition each student tried his/her best to tackle very challenging words. We would like to congratulate everyone for their great performance. On Wednesday, December 12th, fifth grade students participated in our school?s annual Spelling Bee contest. During the competition each student tried his/her best to tackle very challenging words. We would like to congratulate everyone for their great performance. On 12-14 November 2018, Irmak JMUN club students (Emir Alexander Atabek, Melis İrem Aybar, Lila Naz Erdoğmuş, Naz İşleyen, Yağmur Aksel, Duru Kalyoncu, Selah Blessen Wolf, Ceylin Ece Yılmaz, Oltun Erim Özavcı, Selim Uslu) attended the 2nd Annual Canakkale TROYMUN Conference. Atatürk and the Turkish Republic Press publications are displayed in our school library. As part of the European Coding Week, between dates 6-21 October, we organized Family Coding Night with our parents and students at the 4th and 5th grade levels.